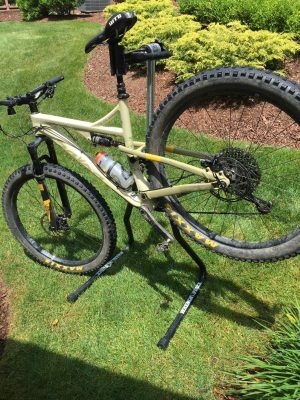 New Technology In Mountain Bikes Can Keep Seniors On The Trails. Remember when you first bought your first pair of “shaped” skis? I do. I jumped on them to take advantage of an easier turn and less work. Fast forward, I have a nice quiver of skis now with some 107s under foot for powder, loose snow, and crud. Just point and shoot with total confidence. 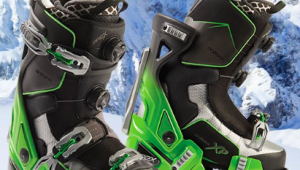 Equipment keeps senior skiers in the game. Same thing with mountain biking. 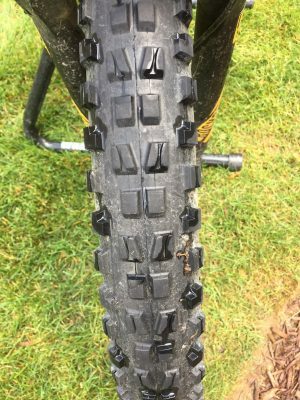 For several years now, the rage has been “fat” bikes and plus size tires with lower pressures for traction and control. Recently, while watching some friends maneuver very easily over tombstone like rocks and greasy roots here in the East, I marveled at the control that the plus tires and full suspension give the rider. For those of you who are not familiar with the plus tire revolution, the description of plus refers to any tire width that is basically 2.6 inches and wider in diameter. Most mountain bike tires have traditionally been in the 1.95-2.3 inch diameter range. But in recent years, the technological advances in mountain biking have developed carbon frames which are compatible with wider .35 mm rims that accept a wider width tire. With lower tire pressures around the 12-psi to 15-psi range, the plus technology allows the rider to have a more plush ride with suspension that grips gnarly terrain like glue. For the senior rider who wants a challenge but wants to maneuver safely through rocky, rooty, terrain, the plus bikes are just like our wider width skis—just point and shoot. Knobby Fatties grip any kind of trail and make the going smoother. Credit: Pat McCloskey. While riding behind one of the best riders I know who happens to be in his late sixties, I noticed that he didn’t even pick his lines anymore on a technical trail. He just points the 3-inch tire and rolls over everything. So, I recently purchased a 29er plus, full suspension bike from Salsa and VOILA, I do the same. I feel much more confident with the plus technology. A definite “plus” for a senior rider who still wants the challenge. Many of the current generation of the plus bikes now (either 27.5 or 29ers) come equipped with the SRAAM Eagle components. 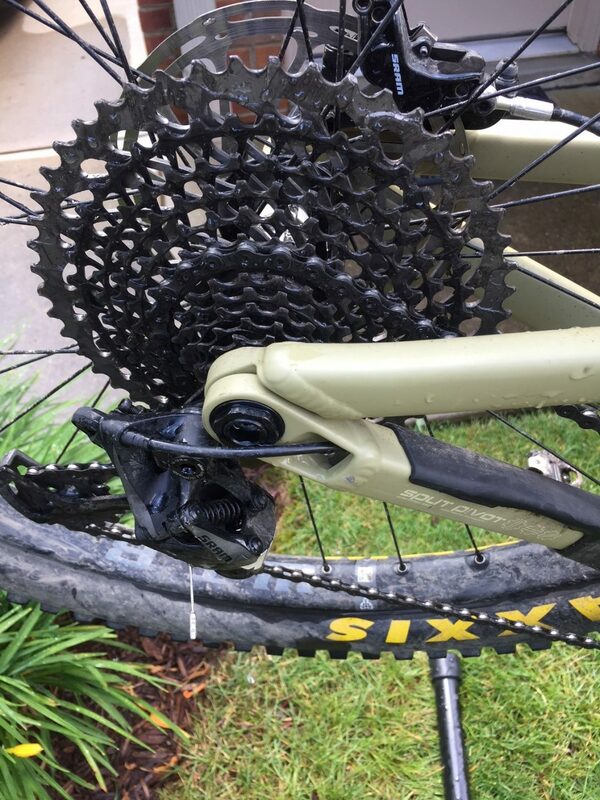 Simply put, they have a wide range of gearing with a 50 tooth cog in the back that allows for easy climbing of virtually anything that is thrown at you on the trails. Even though the plus 29ers, for instance, are a little heavier than the standard carbon full suspension bikes, the Eagle gearing makes it easier for a senior rider to maneuver the plus bikes up a steep, rock strewn trail. Personally, I love the “old man” gear and even though my local bike shop employees say I don’t need it, I definitely want it, and I use it. I will take every advantage I can—on the slopes or on the trails. So, take a look at plus technology. Those 3-inch width tires may be a little excessive for your local trails and you may want to scale back to 2.67 or 2.8, but the lower pressures, enabled by wider profile rims, make life a lot easier and more enjoyable on the trails for a senior rider. Modern equipment keeps you in the game, folks. Take advantage of it. 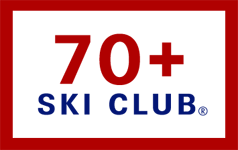 Pat McCloskey is a Level III PSIA Full Certified Ski Instructor. He has skied in 110 different areas around the world and has worked with blind skiers for over 34 years. He is an avid mountain biker, trail runner and road cyclist. His blog chroniclesofmccloskey covers all his outdoor adventures.